What is an insect? An insect is a “bug” that has only six (6) walking legs in the mature or adult form. Some insects may have two or four wings, also. Where do I look for insects? Anywhere and everywhere! Under rocks and logs; in the grass; on trees and shrubs; in the air; near lights at night; near food waste, dead organisms, or animal excrement; in still water or stream beds; under bark and in dead wood. Try baiting insects with a bowl of sugar water, or use a bright light shining on a sheet at night. Books on insects often have good ideas for collecting them. How do I catch insects? Many insects can be captured with your hands. Flying insects may be caught with an insect or butterfly net (instructions for making one are at the end of this handout.) Some crawling insects that come out only at night may be caught by burying a large tin can up to its rim in the ground and half-filling it with water. The insects drown after they fall in. Stinging and flying insects can be captured by trapping them in a killing jar with the lid (see below) or clamping the bag of the insect net around the rim of the killing jar with your hand and shaking the insect down into the jar. What do I do when I catch the insect? The first thing you want to do is kill the insect so it does not damage itself trying to get away. You also want to keep a record of where ( which town and state) you caught it and the date you caught it. If someone else caught the insect, be sure to note that, too. This information is needed for the labels. What do I do with them after they are dead? The purpose of an insect collection is to study the characteristics and structure of each insect. Therefore, the insects must be displayed in a fashion that best shows their parts. Normally, except for the smallest insects, a special thin steel pin is stuck through the thorax (the middle part of the insect) from top to bottom (see the diagram toward the end of this handout.) The pinned insect is then stuck into a mounting board to display it. 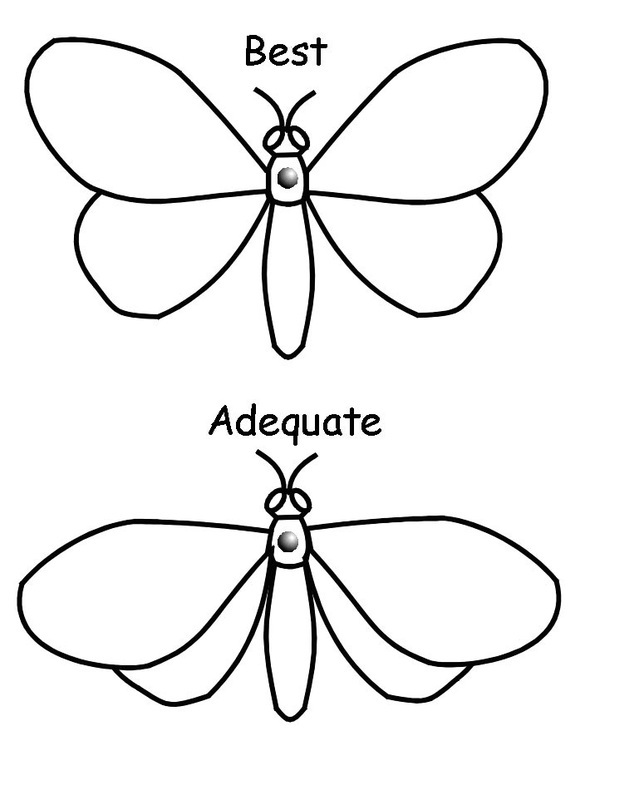 Since many insects have large attractive wings, you should spread them on a drying board. DO NOT allow the insects to rattle around in your killing jar or a box for weeks before pinning them. This will guarantee that they will be missing major parts (e.g., heads, legs, wings). Try to pin them shortly after they are killed when they are still fresh. If you wait, they become dry and brittle, and pinning them often causes breakage. Pins. Sewing pins are sufficient. You may want to obtain insect pins which are a lot thinner and made of a stiff steel that makes them rigid. Insect pins will not damage the insects as much as the fatter sewing pins. You might also try purchasing them at a university or college bookstore, or at a science store in a mall. They can be rather expensive, but they are much better for the serious insect collector. How do I mount the insects? Insects should be mounted on a display board or in a box. Suitable board material is thick corrugated cardboard or coated foam board which you can get at craft and art supply stores such as Hobby Lobby, Michaels, or Wal-Mart. Boxes may include pizza boxes or large shoe boxes with Styrofoam in the bottom, or you can make or buy more permanent insect collection boxes if you intend to keep your collection. The display should be attractive, but more importantly, it should present the insects in an organized fashion. Try to group similar insects together. They should all be pointing the same way. Leave room for labels. Where are those little piles of dust under my pinned insects coming from? One little-known fact about insect collections is that they attract little hungry pests that like to eat all of your hard work. So, try to keep moth balls in or around your collection. If you see little piles of dirt forming under your larger insects, then you may just have these pesky “bugs”.